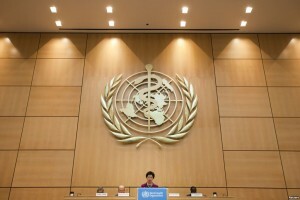 The Sixty-Sixth World Health Organization Assembly begins on Monday the Twentieth of May in Geneva Switzerland. Nigeria’s delegation to the Assembly is led by Minister of Health Professor Onyebuchi Chukwu. The Agenda for this year’s Assembly includes consideration of non communicable diseases, such as the draft comprehensive health action plan, disability and rehabilitaiton. There is also an agenda item on promoting health through the life course that includes both monitoring the achievement of the health relate MDG’s as well as health in the post 2015 development agenda. The World Health Assembly is the supreme decision making body of the World Health Organization.